Regular application provides the skin with skin-related lipids and valuable active substances such as Aloe Vera, macadamia nut oil, vitamin A, natural vitamin E etc. 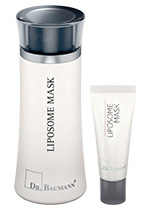 The result of regular application is a visibly purer skin. The skin’s moisture content is strongly enhanced, which works effectively against fine lines. Pimples and blackheads are disintegrated over time and impurities are slowly diminished. The complexion appears fresher, smoother and rosier and more attractive. The skin gains back freshness and resilience.